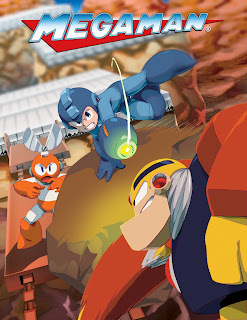 Rockman Corner: Mega Man Legacy Collection Art Contest - Six Winners Get the Game! I'm a little confused by what they mean of free "copy". Do they mean you win a code to redeem for a free download of Legacy Collection? Because I otherwise thought this was going to be digital purchase only. 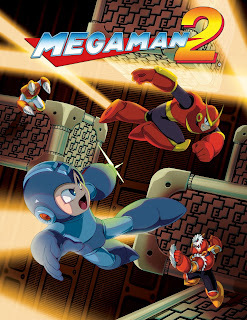 If the new cartoon looks like the artwork used for this game so far, I'd be ok with that. That is as westernized it should get. I was reading the official rules and came across this. What the F?! If a Canadian resident wins a prize, that person must also answer correctly within a 5 minute time period a mathematical skill-testing question without the benefit of any calculating devices before the prize will be awarded. So if someone from anywhere else in the world would win this contest they will receive the game. But if they are from Canada the MUST answer math questions correctly within five minutes then they will receive the game. Wow that is insulting they are trying to say that Canadians are stupid. So because of that they need to make sure that Canadians are smart enough to get the game. But if it is someone else from a different part of the world they don't need to to answer math questions because they are smart. I'm not canadian but I find it offensive. Is This is the game that I have heard about a producer or developer doesnt accept feedback and believes they are some kind of god right? If so, well, I kinda was expecting BS like this. Well.... That's really rotten. I'm starting to have doubts of even getting this collection. You guys do know that Canada has a law about gambling. If you win a prize, it can't be pure luck, it has to be a game of skill. Usually a simple question like 1+ 1. Not everything is the Capcom boogeymen. "it has to be a game of skill." Isn't good art skill? There is no way that the winner of this contest will have won by "Pure luck" because making amazing art is not "Pure luck" it takes skill to make amazing art. Also I almost forgot to add this is a DRAWING contest not a gambling contest. So capcom can't pull that trash and say "Oh well that law says that gambling contest can't have luck to win so do math" because this is not a gambling contest. The last time capcom showed love for megaman was in the gc,ps2,xbox era. Anywhere past that is the cheap 8-bit megaman 9 and 10 games that could be made for free and cancelling every other megaman game.